Forestry officials working on the Government's flagship One Billion Trees plan ordered more than one million pine seedlings for a block of land so choked with scrub and weeds planting couldn't go ahead. Forestry Minister Shane Jones told the New Zealand Herald "ambition" and "enthusiasm" had a part to play in planting delays which struck the $32 million inaugural joint venture on the Far North forestry block. The deal between the Crown and the Far North's Ngāti Hine Forestry Trust was trumpeted by the Beehive as the first Crown joint venture in the One Billion Trees programme. 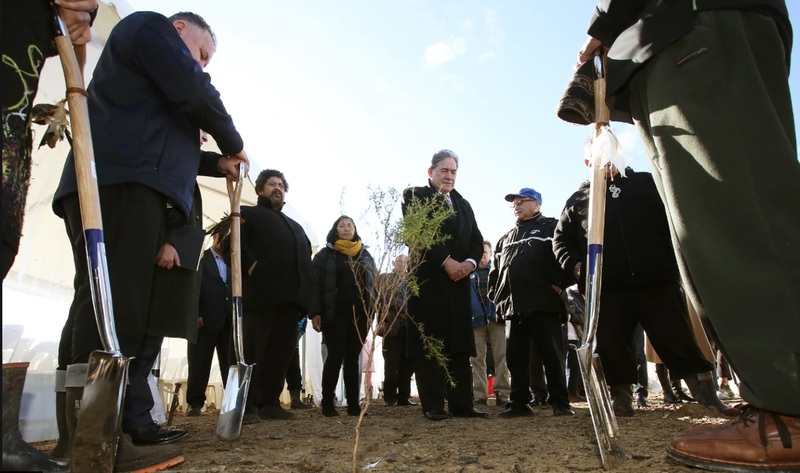 Documents released through the Official Information Act show Jones sealed the agreement during a May 31 ceremony on a Ngāti Hine forestry block, at which he planted a tree using a shovel engraved with his name. The ceremony took place on a hilltop between Kaikohe and Moerewa in the Far North, about 30 minutes from where Jones lives. Ngāti Hine documents seen by the Herald show the iwi did not have enough money to replant the entire forest block itself and had failed to find a commercial partner to take on a joint venture. The $32m joint venture with the Crown over more than 20 years means the trust now has funding to plant about 3600ha with pine and about 500ha with mānuka. The deal is intended to return $63m to the Crown at harvest. Work towards the deal began with a "heads of agreement" document in February with Jones giving regular updates as details were worked out. He was told on April 6 that 1100ha was "potentially available for 2018 planting". 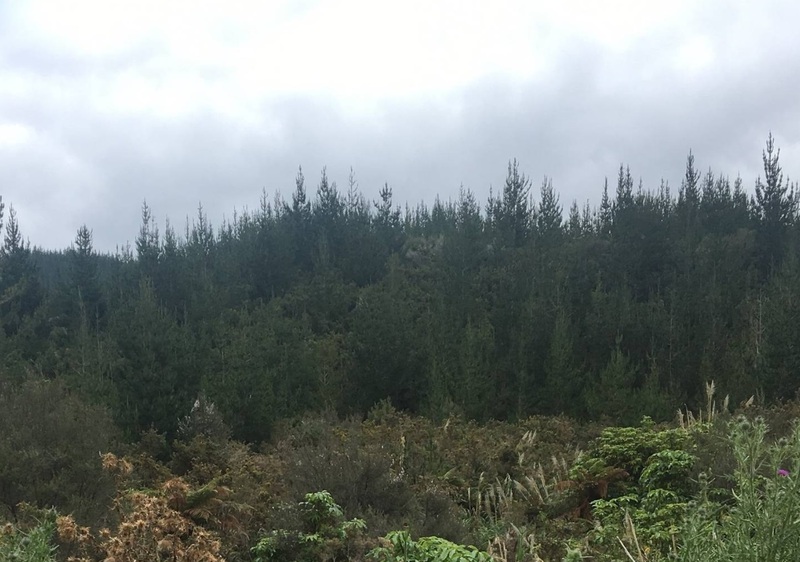 "Seedlings sufficient for the 1100ha of planting under the to-be- negotiated forestry right with the Ngāti Hine Forestry Trust have been secured," Jones was told by officials. A report on May 4 told Jones that officials met with Ngāti Hine "on site" and fewer seedlings would be planted than had been hoped. "Early indications are that the area planted in 2018 will be less than half of the 1100ha originally indicated as a consequence of the degree of weed and scrub regrowth on sites harvested as many as six years ago." On June 8, a week after the deal had been formally signed, Jones was told: "Seedlings have been procured for the 1100ha planting programme for 2018, but it looks as if that area of land will not be available. We will actively seek to place the purchased seedlings elsewhere for the 2018 planting season." A Treasury briefing paper also released through the OIA showed Treasury urging Finance Minister Grant Robertson to reject a $116m grant scheme because of the "the lack of detail around grants" and a $127m partnership package, again because "little detail" came with the Budget bid. In the 2018 Budget, $240m was provided for both schemes. Jones told the Herald the Ngāti Hine deal could be said to have suffered from eagerness and too much enthusiasm. "I've been given a job to do. I've got three years to roll out planting of 23,000ha. I did not shirk from being very eager and ambitious." He said it was known "some of the land was going to be a challenge" because years had passed since it had been planted. Jones said he had a "clear conscience" as to the "moral purpose" behind the deal, which would see investment go into an area which needed support. "It's a part of the north that's been neglected too long." On the wider Treasury criticism of funding One Billion Trees, Jones said: "If I taihoa'd [waited] and did everything at the pace Treasury would like, my three-year posting will have come and gone." Te Uru Rakau (Forestry NZ) boss Julie Collins said "phasing" of planting was always going to happen "once we were able to get in post-signing and being able to do a more intensive assessment of the property". "We made a best guess around what we thought we would get planted this year." She said 191ha had been planted this year. It would not affect the value of the deal over time. MPI's Crown forestry general manager Warwick Foran said several of the seedlings ordered had been diverted to other projects. Seedlings which had not been collected from nurseries had to be paid for. Northland MP Matt King said Jones should be well enough connected locally to hear the warnings around the condition of the land. "Local knowledge tells me the land has reverted back to scrub because Ngāti Hine could find no one to go in partnership with them to do a replant. "So now it's going to be hugely expensive to replant that block. It's going to involve mulching, slashing and a lot more time and money." Ngāti Hine Forestry Trust chairman Pita Tipene did not respond to requests for comment. Everyday a new story demonstrating how incompetent this so called government is. Where does it end?